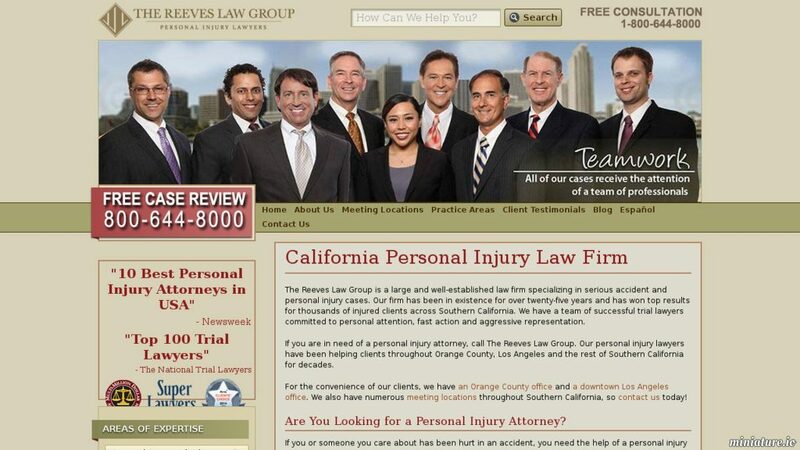 The Reeves Law Group is a large and well established law firm specializing in serious accident and personal injury cases. The firm has been in existence for over twenty-five years and has won top results for thousands of injured clients across Southern California. They have a team of successful trial lawyers committed to personal attention, fast action and aggressive representation.